We've created seven sensationally sippable cocktails using our new Orange & Cacao gin that perfectly pairs orange and chocolate for a delightful ginny tipple. It’s zesty, chocolatey, and unmistakably junipery. Inspired by the citrus gins of centuries past, this modern take uses the popular flavour combination chocolate and orange, boasting rich cacao aromatics and a marmalade brightness. Our new Orange & Cacao Gin is delectable in a cocktail, so read on for sipping inspiration in our seven cocktail recipes. Humming with citrus and complemented by a deep chocolate bass note, this is a captivating twist on the classic G&T. Fill a highball glass up to the top with ice cubes. Pour in the gin and top up with tonic. Garnish with an orange wheel. This sensationally sippable summer sprtiz (try saying that after 3 of these!) has a refreshingly light start and a long, chocolatey finish. Very moreish. 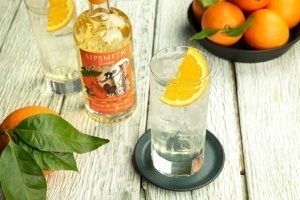 Add 50ml Sipsmith Orange & Cacao Gin into an ice filled wine glass and top with half Prosecco and half Soda water. Garnish with a fresh orange wedge. 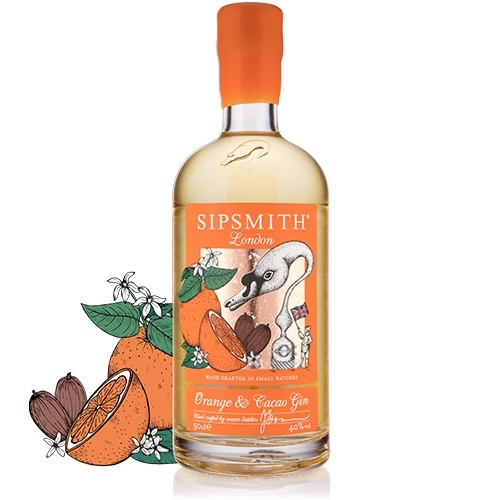 Sipsmith Orange & Cacao Gin makes for a perfect, creative twist in a number of classic cocktails. 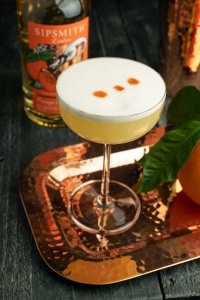 The original White Lady is a celebration of all things gin and citrus, and this reinterpretation of the classic serve adds chocolate orange gin to the mix. Add the first four ingredients to an empty cocktail shaker and dry shake (without ice) until well combined. Add ice to the shaker and shake again. Strain into a chilled cocktail glass, and garnish with an orange twist. A Sipsmith twist on the classic Kir Royale, this citrussy and chocolatey cocktail is a simple, yet impressive serve for any cocktail party. Add the gin to a chilled flute and top with Champagne or Prosecco. Garnish with an orange twist and enjoy. It’s zesty, chocolatey, and unmistakably junipery. Traditionally, the Sidecar is made with a base of brandy or bourbon and orange liqueur. But in our version, we use Orange & Cacao Gin as a rich, indulgent base. 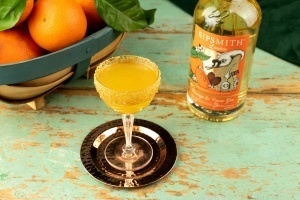 To create a sugar-coated rim, rub a lemon or orange around the rim of a coupe glass and dip the glass in sugar. Add all the ingredients to an ice-filled cocktail shaker and shake well. Strain into the glass. A sweeter and zestier take on a classic Tom Collins, our Orange Collins shows off the Orange & Cacao Gin’s refreshing, sippable side. Fill a highball glass with ice and add the gin and orange juice, and stir briefly to mix. Top up with soda water and garnish with an orange wedge or twist. Our Orange & Cacao gin is the star of this recipe, with its citrussy and chocolatey profile making it a delicious sip. Combine all ingredients in an ice filled mixing glass and stir down. Strain and serve over ice in a rocks glass and garnish with an orange twist. Inspired? 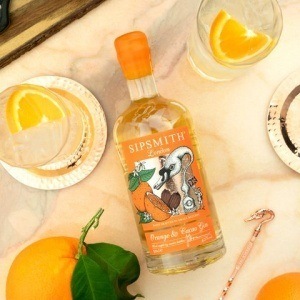 Pick up a bottle of Sipsmith Orange & Cacao Gin from our online shop now or from Sainsbury’s from 28th April.